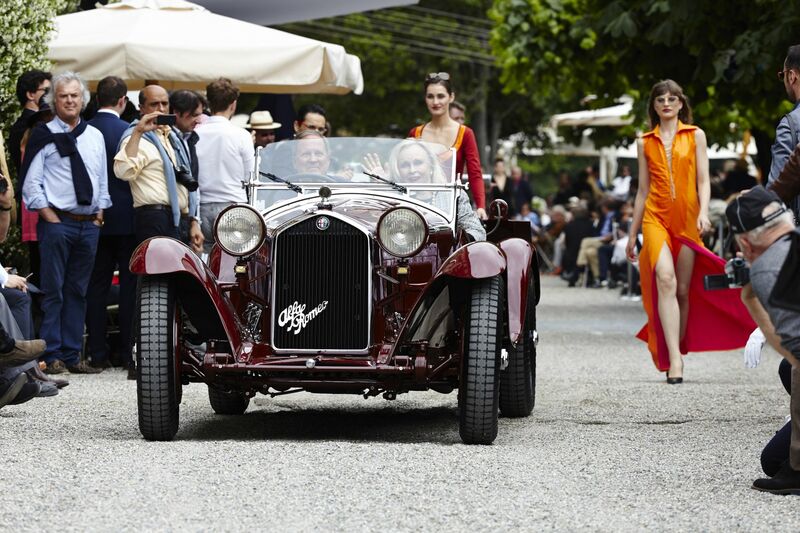 The true heart and soul of every Alfa Romeo model is its engine. The New Alfa 156 2.4 JTD Multijet 20v is no exception. This joins the 85 kW (115 bhp) 1.9 JTD Unijet, forerunner of the Common Rail power units. The new vehicles will go on sale inSouth Africaat the end of October 2004 retailing R235 000 for the 1.9 JTD Unijet and R251 000 for the 2.4 JTD Multijet. The 2.4 Multijet engine delivers 129 kW (175 bhp) and 385 Nm (39.3 kgm) of torque. The new engine is a member of the latest generation of Common Rail power units, multivalve JTD engines featuring Multijet technology. Second generation turbo diesels continue to work on Common Rail principles, i.e. high injection pressure and electronic injector control. But with one difference: the number of injections increases from the two in use today during each engine cycle. In this way, the same amount of diesel is burnt inside the cylinder but in smaller parts to achieve smoother combustion. The benefits include lower running noise, emissions reduction and a 6-7 percent increase in performance, accompanied by an engine output that increases car handling still further. This result is extremely impressive, particularly in an engine that not only represents a great technological leap forward compared to prechamber diesel engines but is also ahead of first generation JTD engines. The secret of the Multijet engine lies in the control unit that governs the electric injector opening and closure system (and also in the injectors themselves). The crucial part of the engine is the electronic control unit itself, due to its ability to deliver a series of very closely-spaced injections. Fiat Auto’s researchers developed the part (together with the injectors) especially for this application. It is designed to deliver the multiple injections that assure the designer more accurate control of pressures and temperatures developed inside the combustion chamber and also more efficient use of air taken into the cylinders. 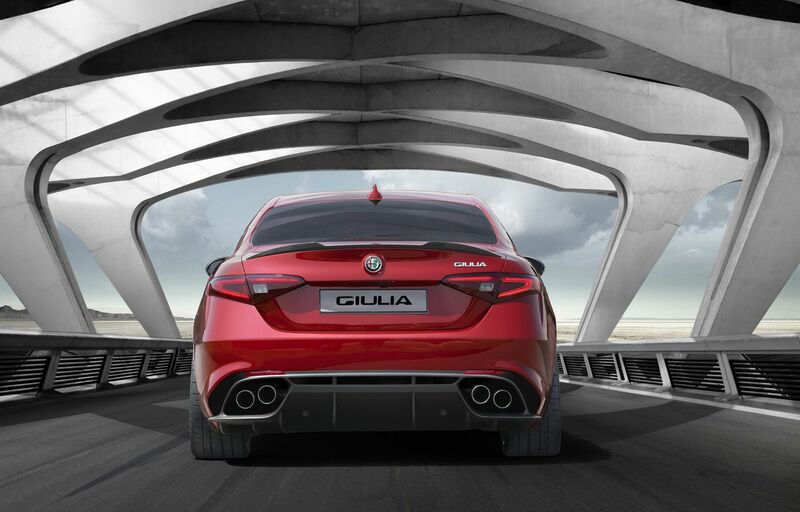 This enables further goals to be achieved: quieter combustion reduced emissions and increased performance. The Multijet system is underpinned by long years of research. Our engineers began by resolving the problem of limits imposed by the control units. Then they went on to map the benefits they could achieve by plotting different multiple injection sequences (two secondary injections very close to the main injection; one secondary injection not too close to the main injection plus two closely-spaced secondary injections; one secondary injection and then two main injections close together after a certain period etc.) against different engine service conditions; in the idling region; with low loads and low rpm; with high rpm and moderate load; with low rpm and high load etc. The study revealed the potential of the system and showed that great benefits are achievable in all cases, though these tend to focus on one field or another according to the type of sequence chosen and the engine service area targeted. In some cases, for example, the priority is to reduce start-up times and fume levels, in other cases it is to increase torque and reduce noise while in others it is to reduce emissions and ensure a quieter drive. And now this research strand has led to the creation of the Multijet engines: another first for the Fiat Group in the diesel engine field. All this has been possible because we have been building up know-how in this field since 1986, the date that marked the arrival of the Croma TDI, the first direct injection diesel vehicle in the world. At that time, this represented a true engineering breakthrough that was later adopted by other manufacturers. Direct diesel injection engines offered better performance and lower fuel consumption but failed to resolve the problem of excessive engine noise at low rpms and while speeding up or slowing down. So work began on a more advanced direct injection system and a few years later this led to the development of the Common Rail principle and the Unijet system. The idea first came from theZurichUniversity research laboratories where scientists were working on an injection system that had never before been applied to a vehicle, i.e. the Common Rail system. The idea is simple yet revolutionary: if you continue to push diesel into a tank, the pressure inside will rise and the tank itself will become a hydraulic accumulator (or rail), i.e. a reserve of pressurised fuel ready for use. Three years later, in 1990, the Unijet system developed by Magneti Marelli, Fiat Research Centre and Elasis on the Common Rail principle entered the pre-production stage. In 1994, when this stage was complete, Fiat Auto started to look for a partner with superlative knowledge of diesel engine injection systems. The final phase of the project, i.e. completion of development and industrial production, was thus eventually entrusted to the Robert Bosch Company. 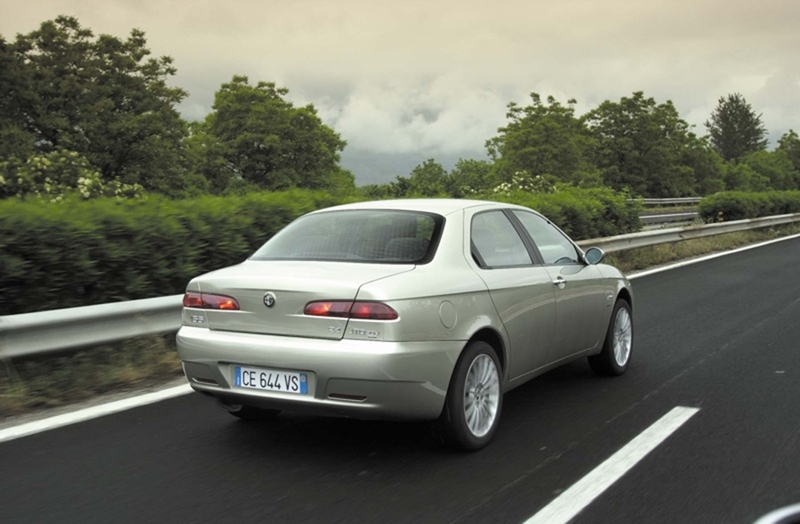 Now our story has reached 1997 and the launch date of the Alfa 156 JTD with its revolutionary turbo diesel engine. Compared to conventional diesel power units, the JTD guarantees an average improvement in performance of 12% together with a 15% reduction in fuel consumption. These results meant that cars fitted with the engine were an immediate hit. This new unit offers various benefits. Firstly, lower noise levels as the engine warms up. The reduction ranges from 3 to 6 decibels according to rpm and environmental temperature. Then, great power (175 bhp – 129 kW at 4000 rpm + 25 bhp compared to the 2.4 JTD 10 valve) and generous torque (385 Nm – 39.3 kgm at 2000 rpm against the 305 Nm at 1800 rpm of the 2.4 JTD 10 valve). The weight/power ratio is 7.9 kgm/bhp, a figure that confirms the true sporting soul of this 2.4 JTD Multijet-powered car. Higher performance compared to the 2.4 JTD 10v with unvaried fuel consumption. Not to mention the fact that the new 2.4 JTD Multijet 20v reduces emissions even without sophisticated exhaust gas treatment devices. The new 20 valve unit is derived from the tried and tested 2.4 JTD 10 valve Common Rail unit and takes the form of a 5 cylinder in line unit with bore of 82 mm and stroke of 90.4 mm. The four valves per cylinder are driven directly by a twin overhead camshaft via hydraulic tappets and rocker arms. The new turbo diesel has undergone various technical improvements to increase performance and engine torque at low speeds and reduce noise and vibrations. For example, the Common Rail system used on the 2.4 JTD Multijet 20 valve unit includes two new strategies for automatically calibrating and balancing the diesel injected to lower noise and reduced vibration. Certain components of the engine are brand new: a cylinder head with hydraulic tappets, steel connecting rods and crankshaft, a piston with an internal channel to carry cooling oil to the main and connecting rod bearings that are made out of different material to the previous unit. The intake and exhaust manifolds are also new: the former is made out of a special high-strength material while the latter is made out of pressure cast aluminium. The electronic EGR and exhaust gas cooling systems are also new; the lubrication circuit features a new oil pump and an external exchanger (air/oil) for oil cooling; the cooling circuit comes with a new coolant pump. This long series of improvements and changes has culminated in a reliable, powerful engine with low fuel consumption. Excellent results then, achieved through a new engine control setting; an increase in direct injection pressure from 1350 to 1400 bars; and a new turbocharger setting. The power units are turbocharged via a Garrett turbocharger with variable geometry turbine that helps improve power delivery by allowing very high torque delivery even at low rpms. Suffice it to say that 90% of maximum torque is available between 1750 and 3500 rpm. 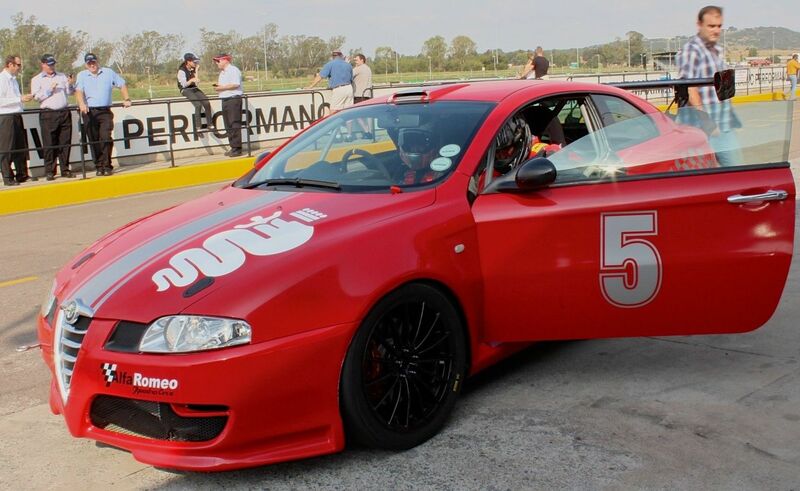 The Alfa 156 reaches a top speed of 225 km/h (on the circuit) and accelerates from 0 to 100 km/h in 8.3 seconds. With very low fuel consumption all round: combined cycle 6.6 l/100 km, urban cycle 8.8, and extra-urban cycle 5.3. Finally, the new 129 kW (175 bhp) 2.4 JTD Multijet 20v fits a new 6-speed manual gearbox. The 3-axle device is more compact than the present one and presents synchronised reverse and a clutch with automatic wear take-up. The new Alfa 156 1.9 JTD Unijet is an efficient entry-level diesel vehicle in the premium market at just R235 000 including Vat. It brings common rail technology within reach of a wider market especially fleet buyers. The engine produces 275Nm of torque at 2000 r/min. The zero to 100km/h sprint is dispatched in 10.3 seconds and has an average fuel consumption of 5.8l/100km. Producing 85kW of power the JTD is able to reach a maximum speed of 191km/h. 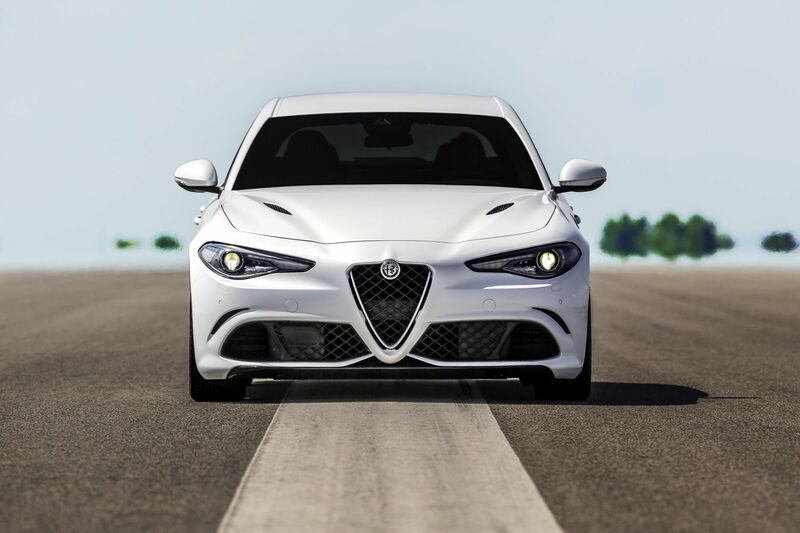 The Alfa 156 JTD will enjoy the full after-sales backing inSouth Africathanks to a comprehensive parts inventory and to trained technicians at Alfa Romeo dealerships countrywide. Fiat Auto South Africa offers Alfa 156 owners a 12-month Manufacturer Warranty, unlimited mileage and an additional 24-month Dealer Extended Warranty or up to 100 000km in total, three years on paintwork and five years on rust anti-perforation. 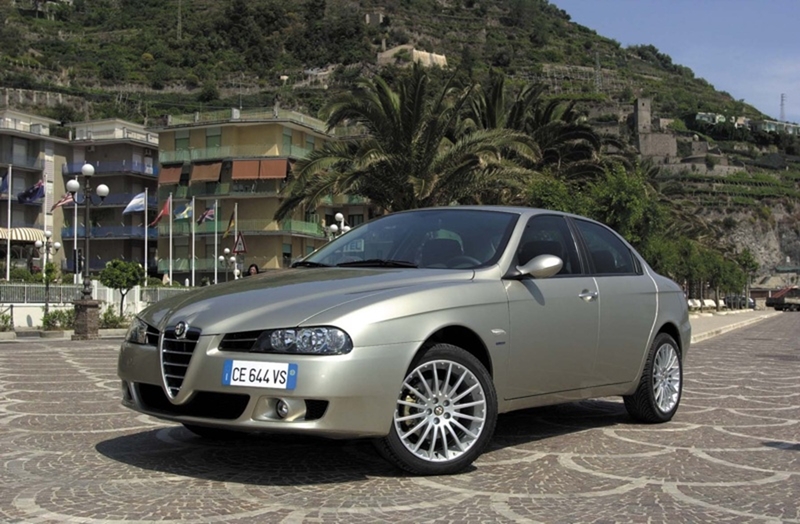 All Alfa Romeo 156’s enjoy a 36month/60 000km maintenance plan. 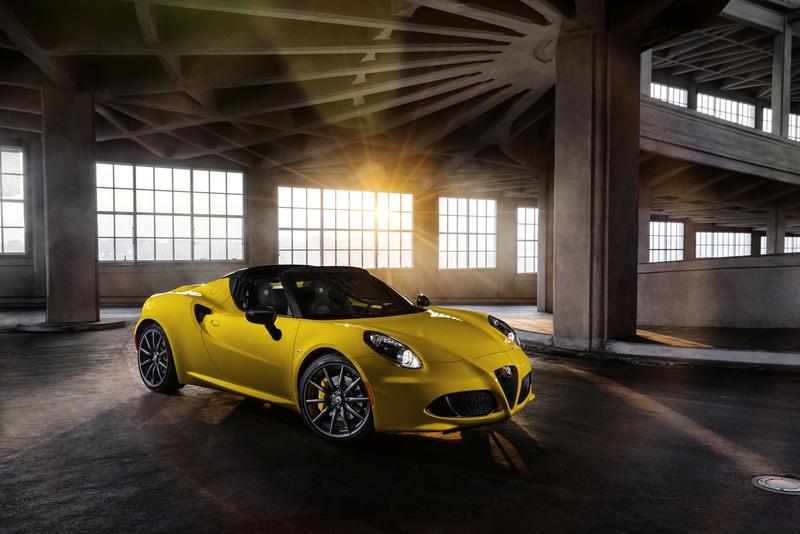 The new models are also covered by the ‘Alfa Cares’ policy in conjunction with the AA Fleetcare roadside assistance. The service, which is active 24 hours a day and 365 days a year, is available by calling the dedicated toll-free number 0800 223 727. Services are required at 20 000 km intervals.